The Seattle Post-Intelligencer called Cash Levy, “A major talent,” and told its readers, “Don’t miss this act!” We just call him hilarious. If you missed Levy on Fox Sports, or haven’t bought his newly released comedy CD, Tidbits, you’re probably familiar with seeing him act as a regular performer on CBS' The Late Late Show with Craig Ferguson, ABC’s Comics Unleashed with Byron Allen, and also Comedy Central’s Premium Blend. Levy can be heard daily on XM Radio, Sirius XM Radio, and has entertained on The Bob & Tom Show. When Larry Gelbart, the creator of the hit television series M*A*S*H, saw Levy's show at the Improv, Gelbart told him, "I love your work,” and a week later Levy was cast in the ABC pilot entitled the Larry Gelbart Project. Keep an eye out for Levy as the host of UnConventional, an upcoming show on Comcast. 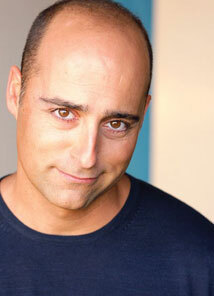 Levy has worked with such great acts such as Chris Rock, George Lopez, and Tim Allen. He has been playing to sold-out comedy clubs around the country for over 10 years, and just finished a world tour for Armed Forces Entertainment.